As many folks know, besides filling my time with rogueclassicism, I also put out a weekly archaeology newsletter called Explorator which looks at coverage of archaeology in all parts of the world. I’ve been putting out that newsletter for at least sixteen years and one of the things I’ve long been aware of is that there is a certain ‘class’ of archaeologist (for want of a better term) who are very much into the ‘glory’ aspect of any coverage they get and/or create. That is to say, they are driven as much by their egos — and their desire to be seen as somehow ‘better’ than their counterparts — as much as they are by their research. One might even cynically suggest there are some who are even more ego-driven than research driven. I’ll let you decide which applies in the following situation. 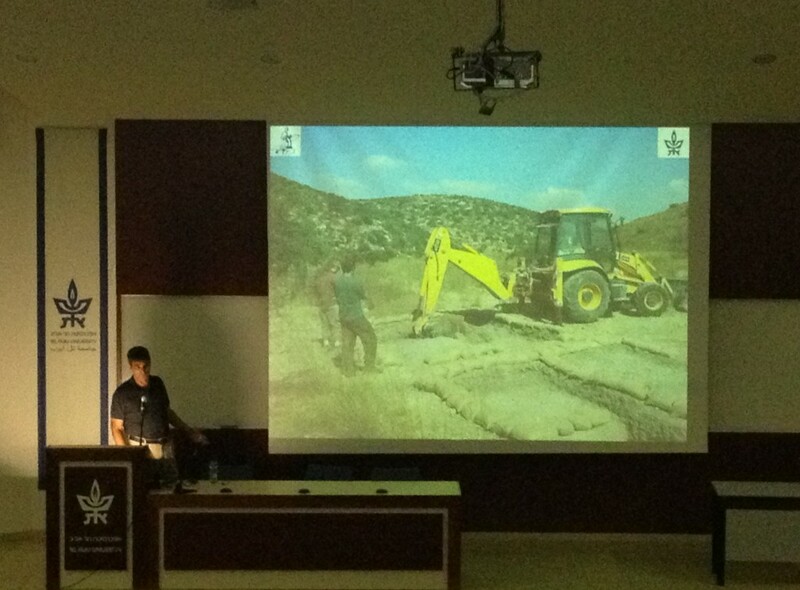 Recently, Professor Yuval Goren shocked an audience at Tel Aviv University by proudly describing his method of archaeological excavation using a Caterpillar bulldozer. An archaeological controversy has erupted in Israel which has serious implications for anyone interested in the history of the Holy land. At the center of the controversy is Professor Yuval Goren from Tel Aviv University. Goren has a PhD. in petrography, which is a branch of petrology that focuses on detailed descriptions of rocks. Though he doesn’t have a graduate degree in archaeology, he de facto works as an archaeologist. A few months ago, Goren shocked an audience at Tel Aviv University by proudly featuring his method of archaeological excavation using a Caterpillar bulldozer. Archaeologists use a great variety of tools for excavation, depending on the nature of the area in which they are working. The most common digging tools are picks, shovels, and trowels. In areas where there is a lot of sediment or dirt over the sites, archaeologists sometimes use heavy equipment like bulldozers and back hoes, but only to remove earth that shows no signs of human remains. If excavation will be a delicate operation, as during the careful cleaning away of soil from a damaged painting or human skull, archaeologists use dental picks, spoons, brushes, or anything that works. They often improvise based on the situation in which they find themselves. Come on guys … in the right hands, a front end loader/bucket is a perfectly legit archaeological tool … a massive ego isn’t. … we now return to our regular programming. 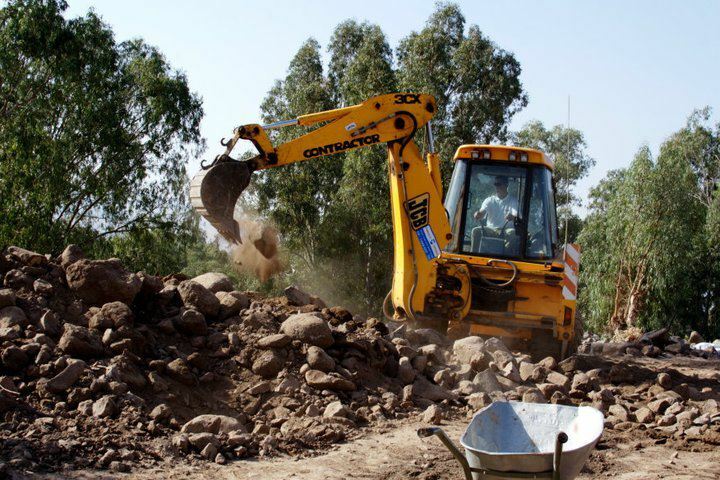 Backhoes (not bulldozers) are used at Bethsaida to remove dumps and help conservators to lift heavy boulders, not to dig. Each use is authorized by Israel Antiquities Authority. fair enough, but they are used elsewhere as described in the excerpt from the AIA above. My profs here at University of Windsor have certainly mentioned use of backhoes for multiple purposes, even including a convenient means of moving personnel and equipment around the site. Their digs are in Greece generally, Helike and Stymphalos as I recall. Helike also has a tremendous amount of sediment to be dealt with – I’d hate to shovel that out by hand. Furthermore, the usage isn’t limited to classics. My anthropology prof has also mentioned use of such machinery on Native American sites here in Canada. Apparently, a skilled operator can even feel changes in soil density. Should something unexpected appear, he often feels it through the machine. Listen here David, professor Yavil MacDongo is an archaeological marvel of this generation. He not only pioneered the method of bulldozer archaeology, he’s been an instrumental force in the Destruction of Historical Objects Movement. The audacity it must take to slander this visionary with little to no grounds for your accusation is outstanding. I stand in awe. Looking forward to your “defense”. Sincerely yours, Dr. Simcha Jacobovici. I loved the Colosseum piece a couple weeks ago!